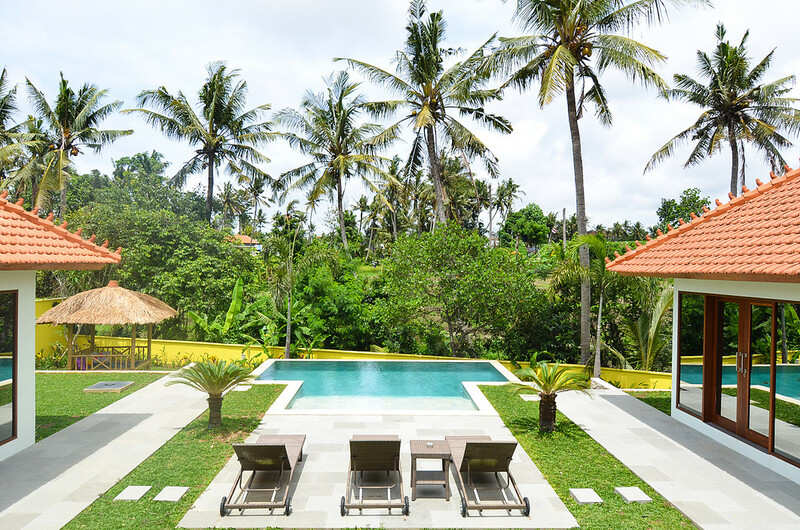 New villa for sale located in the sought after area of Umalas in Kerobokan, 5 minutes from Seminyak and only 10 minutes from the trendy Canggu district, this residence perfectly combines the traditional Balinese style with its high ceilings and softness of modernity. This property is separated into three individual joglos, the first enjoys a very spacious living space consisting of a kitchen equipped and furnished, a dining room and a living room complement open on the tropical garden and pool. The second joglo has two generous bedrooms each with their bathroom en suite, the third bedroom is located in the last jog isolated in peace on the other side of the pool, ideal space to receive friends or family and preserve the privacy of everyone. Villa to visit quickly in a popular district, corresponding perfectly to a family life or a rental investment.